The human spinal column is a series of 33 individual bones called vertebrae stacked on top of one another. The upper three-quarters consists of the 24 presacral vertebrae. Below them are the sacrum (5 bones) and he coccyx (4 bones). This structure holds up the torso, head, and neck. Osteoporosis (and some types of cancer) can cause one or more of the vertebrae to degenerate — the spinal bone then collapses under the body’s weight. A vertebral compression fracture, as it is called, can be incredibly painful and lead to pronounced changes in posture, height, and mobility. Modern medicine has two procedures, vertebroplasty and kyphoplasty, that can repair vertebral compression fractures and restore some bodily function and improve quality of life. They also helped prevent further complications from kyphosis. Vertebroplasty, sometimes referred to as percutaneous vertebroplasty, was introduced in the 1980s. It can result in increased compressive and bending stiffness in the spine. Kyphoplasty, the newer procedure and one considered superior to vertebroplasty for severely compressed vertebra, employs one or more balloons to restore the original height of the vertebra. In an action similar to a car jack, a kyphoplasty balloon is inserted into the center of the compressed disk and inflated, thereby providing separation between the upper and lower borders of the vertebra and raising the spinal column overall. Once the balloon restores height to the vertebra, the kyphoplasty balloon is withdrawn and the space is filled with the medical grade cement. Both vertebroplasty and kyphoplasty are performed under local anesthesia and are not strictly surgical procedures. 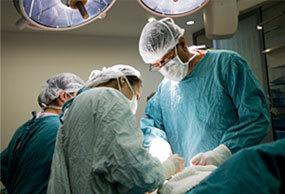 They are often performed either by interventional radiologists or orthopedic surgeons. Vertebroplasty can be performed on an outpatient basis; most kyphoplasty procedures require an inpatient hospital stay of at least one day. Ideal candidates for vertebroplasty and kyphoplasty are patients that have pain localized to a vertebral compression fracture that is less than 12 months old. Approximately 85-90% of patients enjoy almost immediate relief of their fracture pain after vertebroplasty or kyphoplasty. The procedures are satisfying from a physician’s perspective because patients that had been suffering from months of intractable back pain leave the hospital or office pain-free in just a few hours. In both procedures, mobility is greatly improved and in kyphoplasty, a partial restoration of overall spinal column height is achieved. Complications, which occur in fewer than ten percent of patients, include local pain, a narrowing of the space in which the spinal cord rests, cement seeping into the nearby blood vessels, and compression of some of the nerves as they leave the spinal region. Less than one percent of patients get non-cancerous bone lesions due to the procedures. Doctors follow up with patients after the procedures to check for problems. Sometimes revision procedures are required, if an infection occurs or kyphosis continues. While these procedures can correct fractures, they cannot prevent future compression fractures in other vertebra. Neither vertebroplasty or kyphoplasty is considered a replacement for medical treatment of the medical cause of the vertebral compression fracture. 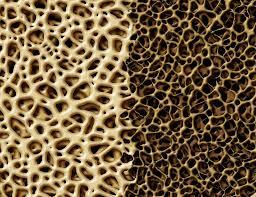 Medical treatment may include osteoporosis medications or chemotherapeutics for multiple myeloma.